A wildly refreshing cocktail that is perfect on a hot summer day! Enjoy one by the pool, relaxing in the backyard, or anytime. 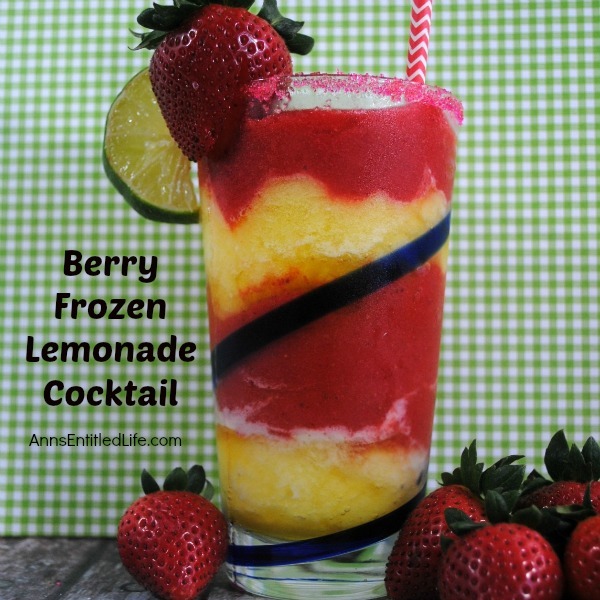 • Blend together tequila, triple sec, sweet and sour mix, 1 cup of ice and frozen berries; set aside. • Blend together lemon vodka, lemon juice, sugar, lemonade and 2 cups of ice; set aside. • Layer 1/2 of the berry mixture into a tall cocktail glass, layer 1/2 of the lemonade mixture on top of that. Repeat until glass is full. • To print the Berry Frozen Lemonade Cocktail Recipe click here. It doesn’t get much better than this on a hot summer day. Try one the next time you have guests, are hosting a barbeque, or just want a refreshing cocktail on a hot summer night. Note: You can rim with colored sugar using tequila for the wet! 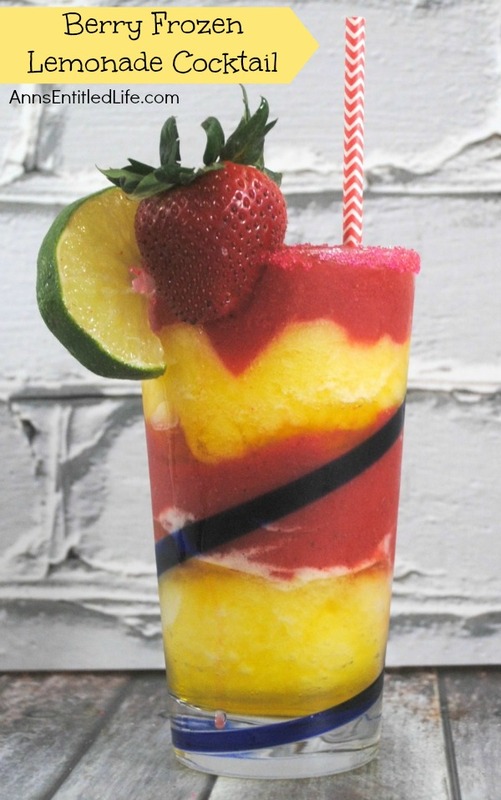 This sounds like a cross between a fruity margarita and a lemon drop martini…. LOVE IT!